We hear a lot about Millennials but who are they statistically? According to Pew Research Center, this generation was born between1980 and the early 2000’s. Millennials are now ranging from ages 22 to 37 and its estimated this population will reach 73 million in the U.S. in 2019. They represent more than half the workforce population. If those numbers made you sit up and take notice then you are well on your way to understanding why it’s important to create training that motivates and engages this generation. What else do we know about millennials? Millennials value knowledge over just getting a degree. Half of this generation doesn’t feel they need to be in a classroom to learn. 75% of the global workforce will be made up of millennials by the year 2025. Over half of them refuse to work for companies that ban social media. They are more likely to embrace remote working. The traditional 9-to-5 office job doesn't support the lives millennials want to live. Hiring costs to replace a millennial employee averages $24,000. What does this mean for your training department? Technology and Millennials’ familiarity with it is the biggest key to their social media-loving hearts. An eLearning environment appeals to their need and desire for schedule flexibility and on-demand style information. Along with needing to appeal to the millennial workforce, many companies still have outdated training. The content and methods aren’t relevant to any employees, even older ones. Transitioning to the new technology-based way of learning is necessary but can be a time consuming and cumbersome task especially when you don’t even know where to start. Millennials value flexibility in their schedule and their ability to choose when and how they work. As a generation that has grown up with technology, they are typically quite aware of the capabilities of that technology and will see needing to physically be somewhere as outdated and arbitrary. Let Them Choose Their Path: Millennials want and need to have the ability to personalize their learning experience. This means making your course available on multiple devices so they can learn when and where they want to. 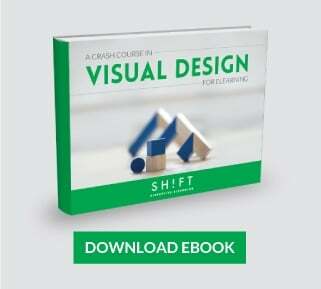 Give them the option to learn at their pace as well by making the information accessible on-demand. Even more importantly, this flexibility and choice are good for all your workers, not just millennials. While older workers might do better to take a course on their work computer where they can receive extra help if needed, once they understand how it works they will also enjoy the ability to be able to learn where they want to. Information moves more quickly than ever, and Millennials are particularly well adapted to taking in a lot quickly. However, the one caveat is that this info has to be packaged the right way. Trying to present long paragraphs to a generation who sees most info in 140 characters or less is an incredibly ineffective way to design your eLearning courses. They want info they can take in quickly and be able to read in between meetings, on the way to work or while having lunch. What they don’t want is a training session that has to last two or three hours at a time that they need to clear their schedule to make room for. 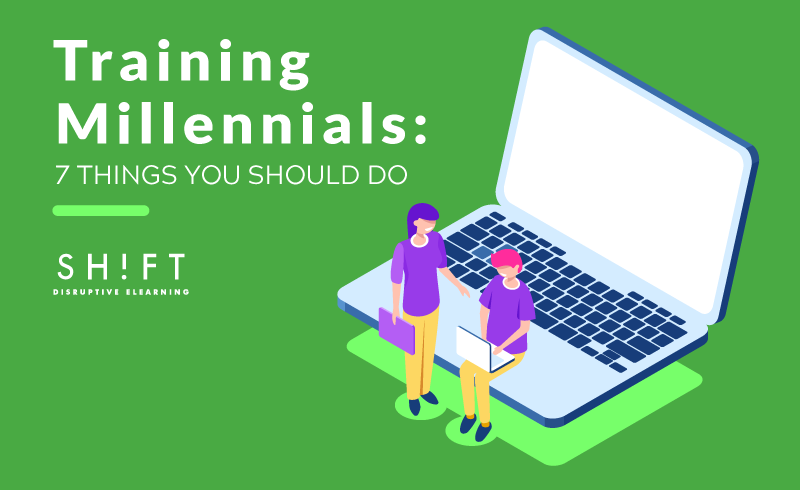 Along with bite-sized pieces of info, Millennials also want ongoing training. Short lessons and modules allow them to get to small goals and checkpoints that provide bursts of motivation and accomplishment that will encourage them to keep going and be more likely to retain the info. Millennials are not the perpetual-children they are often made out to be. They have their version of adulthood that is relevant to their generation, and this includes making time for friends and experiences as well as work (Work-life-balance). They want to discover ways to fit all these things into their lives and make their lives easier to manage. As an eLearning course designer, one of the best ways to appeal to your Millennial audience is to give them ‘Life Hacks’ to discover. Give Them Purpose: “Because I said so” has never been an excellent motivator for anyone, but Millennials in particular need to see the reason behind why they are doing something. They are driven by purpose and need to see that what they are doing is having an impact in the company as a whole. If they feel the training doesn’t apply to anything larger, their attention will not be engaged, and they will not retain information nor feel motivated to learn more. 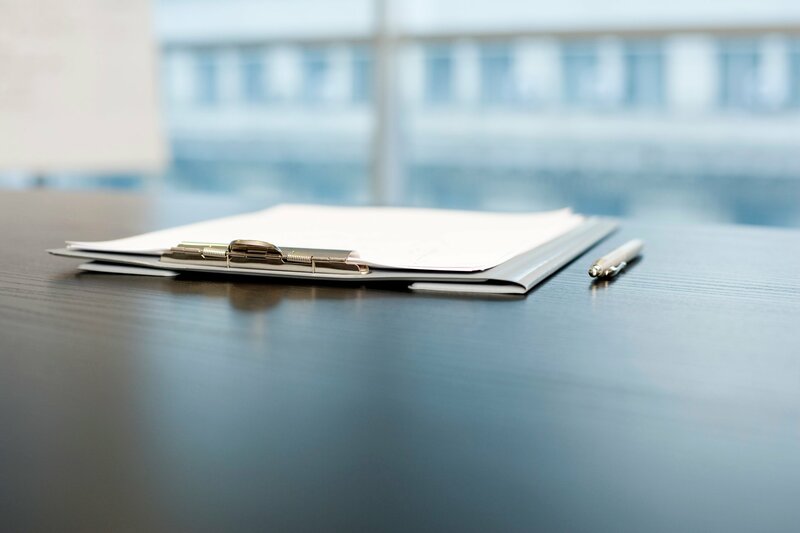 For example, if your task is to make a course talk about where the company is headed, you will want to incorporate information about how this will help your learners grow as well. What skills and new experiences will they have as a result of the company’s future? How will they be contributing to the outcome? Whenever possible you need to connect the course back to them and their goals. A major part of keeping Millennial workers happy is providing continuous training and coaching. And satisfied employees are more likely to stay. If you’ll remember from earlier, we discussed that it takes $24,000 to replace a millennial worker so keeping them engaged in their job is pretty important. Millennials need goals to work towards, but this doesn’t always have to mean big promotions. Training allows them to grow within the position they already hold and keeps them from feeling that they are wasting their time and need to move on. These skills benefit the company as well as Millennials are more than willing to put their new knowledge to use in their current company. Ongoing online training, mentoring and coaching is crucial to attracting top millennial workers and keeping them. Over a third of this generation said they would be more interested in an employer if they offer exceptional training and development opportunities. Hartford research proves that this is more than just keeping workers happy, the company benefits by getting a workforce that is more productive, more likely to stay and more active within their roles. Gen Y has been raised on computer and video games. Don’t fight this! Games can easily be incorporated into eLearning and make for more effective learning. Millennials tend to be more motivated by outside rewards such as praise, prizes, money and grades than they are by internal motivation. To engage this regularly without constantly having to give out physical prizes, allow for quick feedback in the form of a scoring feature on each course module. Allowing employees to share their results on a social media platform is also a good way to engage this need for external rewards. This gamification of courses has been shown to better stimulate employee interest and create more organized teams. There is no question that video is a huge part of how Millennials take in information. Social media, Youtube and anywhere you look online has video. Creating videos is a cost effective and engages the natural way they tend to learn. 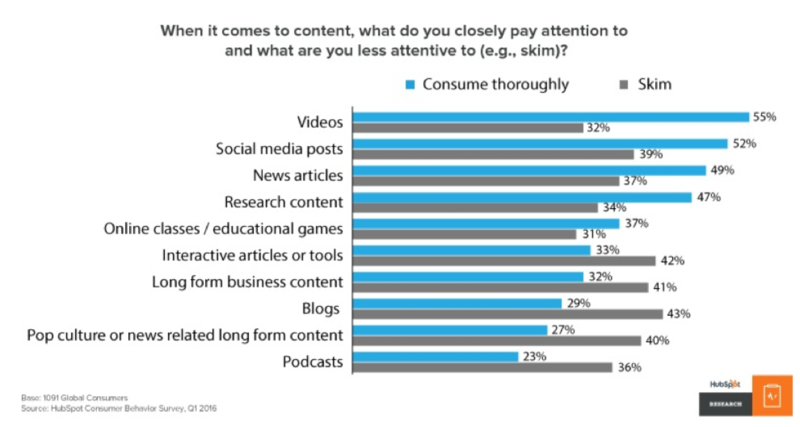 Research by Hubspot shows the breakdown of what people pay the most attention to versus only skimming for information. Videos top the list with 55% of respondents saying they pay close attention to video content. Amazon, Netflix, and other similar sites have a way of seeming just to know you, right? These sites use algorithms to see patterns in your preferences to offer you more products and choices that you are more likely to want. The more you use the site, the better it seems to know what you’ll want. You can do this with your learners to anticipate their wants and give them choices they will like by using the right LMS. Millennials are not the lazy and entitled creatures that the media tends to label them as. They see the world differently than previous generations and believe that they can make more of that world. Believing in their potential and working with their strengths will create a more powerful workforce for your company. By addressing them and training them on their level, they will use their skills to help make your business run better and faster in the changing landscape.